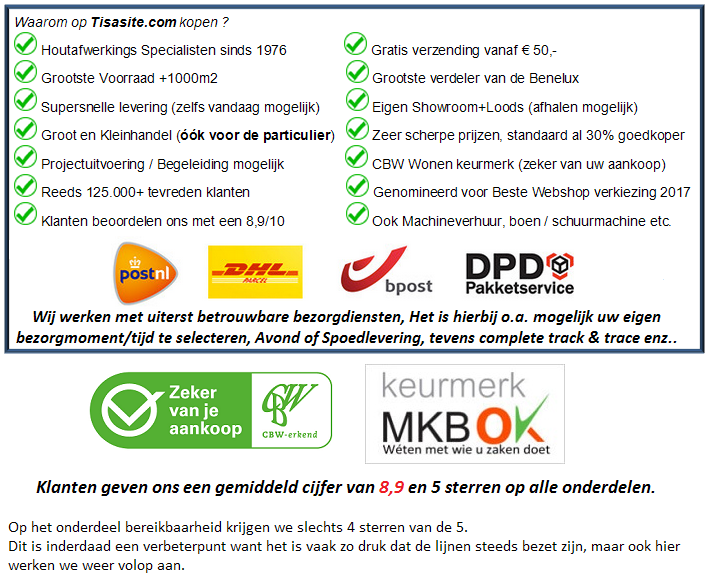 Online store of Dé Hout finishing specialists from the Benelux. Did you know that we have been passionate about wood since 1976? So we have been around for 42 years and all this experience, knowledge and know how we take every day in our tips and advice to the customer, so as a customer of Tisasite.com you always get the best advice for free and here you can benefit again, because most of the advice will save you a lot of money in the long run. Add to that that our standard prices over the entire site are already about 30% below a retail price and your advantage is already enormous. Even so, we still work daily with a lot of love and pleasure to bring you your parquet, floor, terrace, log cabin or chalet etc etc to a result that is as beautiful and well protected as possible. We also do projects so if you prefer to outsource it, no problem contact us for the possibilities and a price quote. You can also order very cheaply here for your parquet floor, wooden floor, terrace, outdoor wood, log cabin or furniture etc etc. of Osmo, Woca, Boneco, Aquamarijn, Lecol, Rigostep, Auro, Kerakoll, SLC, Boneco, Air o Swiss etc. hardwax, oil, lacquer, floor wax, wax, soap, paint, humidifiers etc. For all Osmo and Woca / Trip Trap, Aquamarine, Lecol / Leha, Boneco Etc. products you can make a selection at the top of the menu or click directly on the brand you see below. If you can not find the product? please contact us. 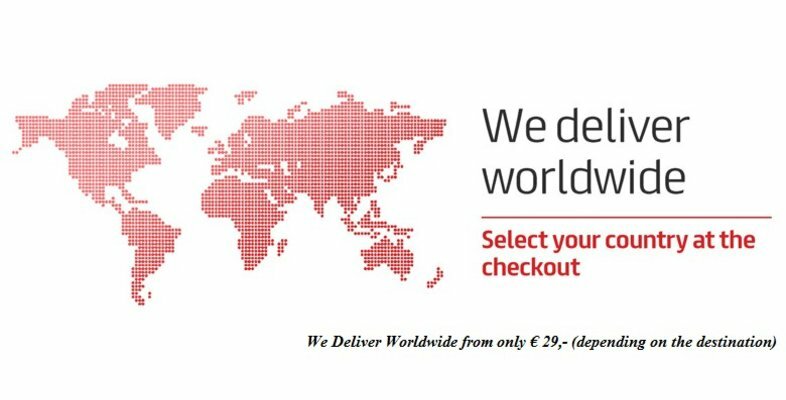 WE SEND ALL PRODUCTS WORLDWIDE! Are you looking for a Hardwax oil? Do you want a pure oil floor? Then we recommend Woca Master Oil or Rigo Royl Oil 2k. Do you want a lacquer floor? Then we can advise you the products of Rigo / RigoStep Duo Satin lacquer or Projectlak (is completely solvent free and these paints are of a very good quality) Like the world famous Skylt Original and Skylt Titanium. Incidentally, for both of these you can also use the new Loba lacquers for this. Bona is also a good paint manufacturer with several worldwide renowned products such as Bona Mega paint, Traffic and Naturale ..
Are you looking for a Humidifier? There is only one brand that stands out and that is Boneco, For example, the 2055D or the new W490 are very fine devices that you hardly have to worry about. In that list certainly also the new S450 and S250 and the new top model Boneco H680 Hybrid. You can also contact us for all parts, repairs and accessories , please note that within the Benelux we are the only 100% Boneco specialist and only with us you always buy with the original 2 year warranty! so no counterfeit or fake articles as elsewhere occurs, only 100% original and delivered by the specialist. Tisa is also a member of the trade association CBW, so you always buy with certainty from us.